Madison Square Park has seen everything from human heartbeats projected as laser beams through the trees to life-sized figures pitched off surrounding roofs as if ready to leap to a gorgeously gruesome death. 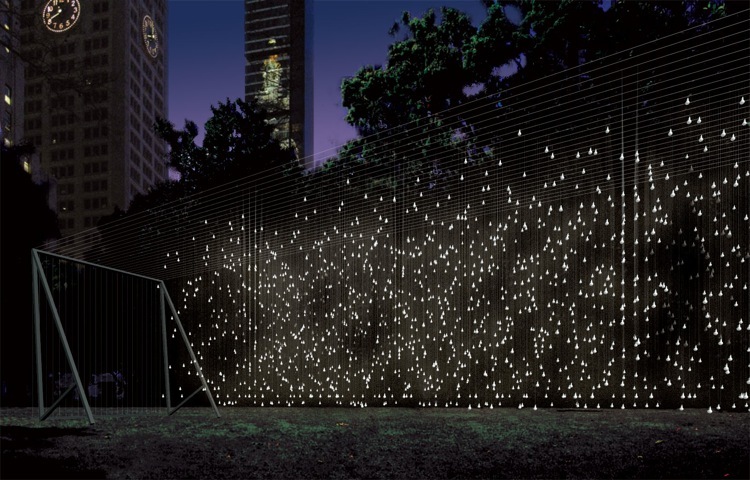 Now, the Manhattan park — which has one of the best, if eeriest, public-art programs around — is being transformed into an electrified ghost land. 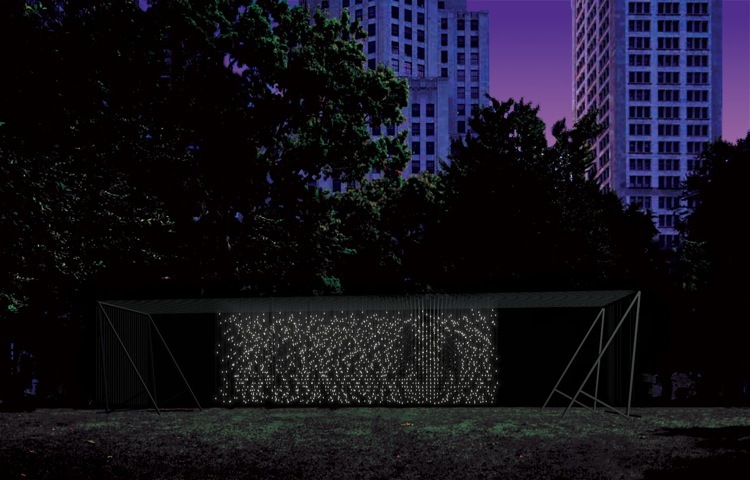 On October 21, the park will unveil a pair of light installations by the engineer-turned-artist Jim Campbell. 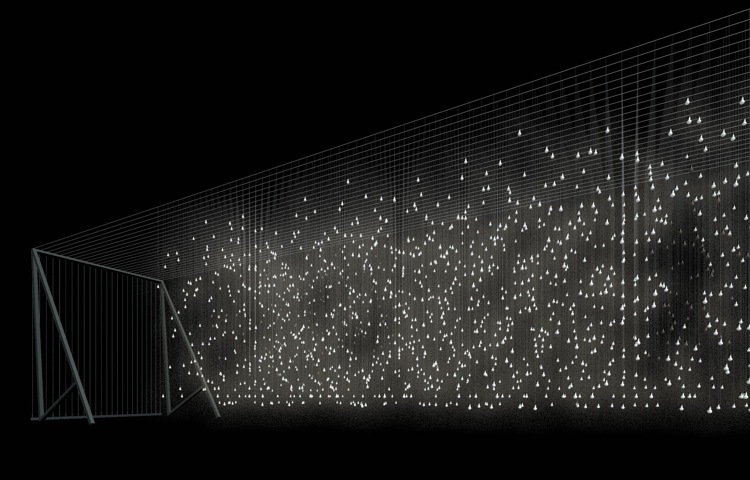 The larger of the two, Scattered Light, will cover the oval lawn in a nearly 2,000 floating LEDs programmed to flash human silhouettes that’ll look like alien-phantoms creeping through intergalactic dust. The smaller piece, near the main entrance to the park, will be an LED-lit glass wall engineered to echo whatever commotion’s around it. The lights resemble incandescents, but they’re actually LEDs tucked into standard bulb encasements (see below). In Scattered Light, they hang off a 20-foot-tall-by-80-foot-wide support structure. Campbell is a San Francisco-based multimedia artist with high-nerd bona fides: a degree in electrical engineering from MIT; another in math, also from MIT. Here, at Madison Square Park, he joins an impressive roster of artists that includes Antony Gormley, Rafael Lozano-Hemmer, and Richard Deacon. It’ll be Campbell’s largest installation to date. More of his work here.